Public Parking Lot is also available at the rear of the establishment. 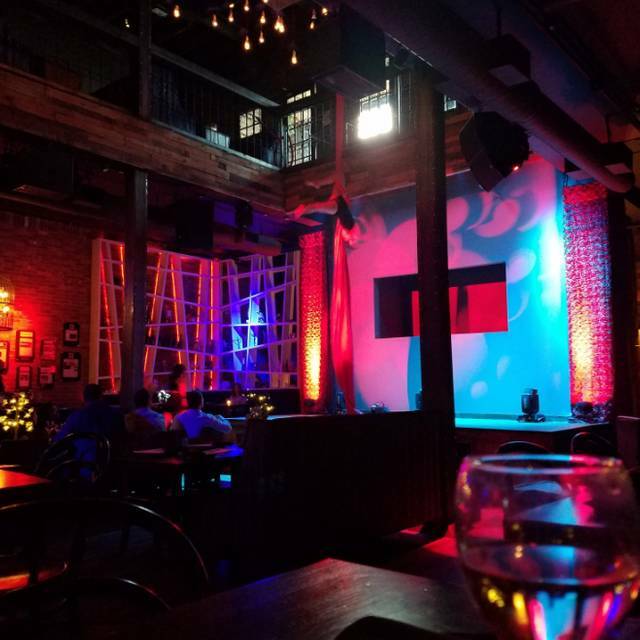 A wider variety of nightly talent ranging from live musicians, to dancers, to aerialists to fire throwers... you surely will be amazing each and every time you visit. Late night transitions into a full nightclub complete with open format DJ to keep you moving and singing all night long! Dinner service cuisine beautifully designed by Top Chef Tre Wilcox coupled with inquisitive cocktails, and an array of live entertainment from the finest local artists. 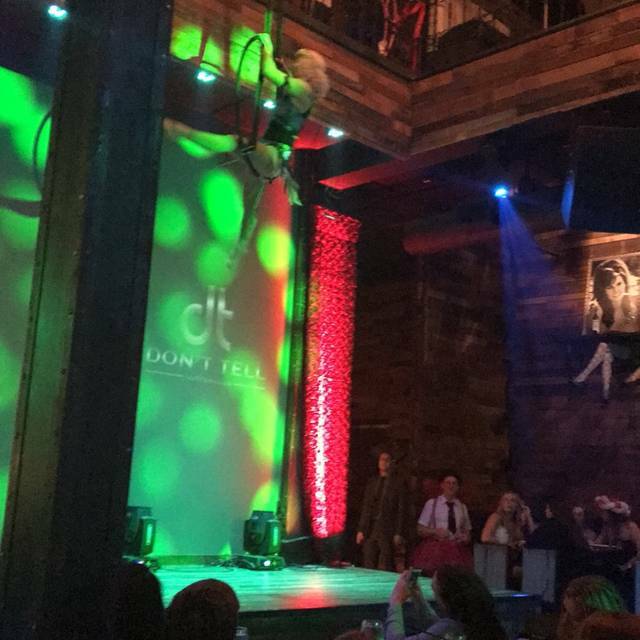 An unique blend of singers, musicians, dancers, tricksters, aerialists and acrobatics to enhance your dining journey. Taste, Touch, Sound, Smell, Sight. 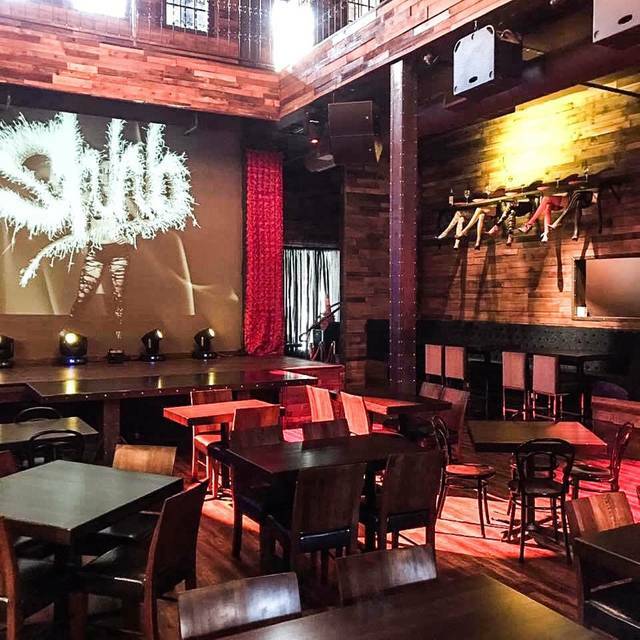 Don't Tell Supper Club offers a once in a lifetime, extrasensory dining and nightlife experience never seen in Dallas! 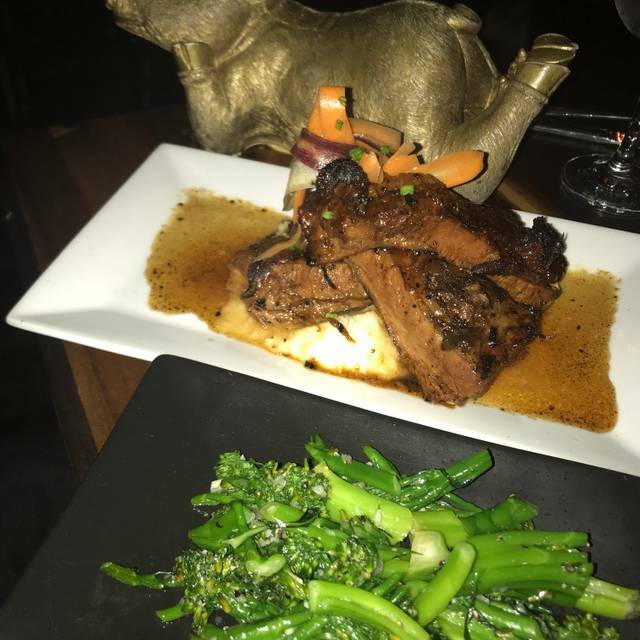 Don't Tell Supper Club will tantalize all your senses and serve 5 star New American dishes that will keep you coming back for more. During your 1.5 hour dining experience, prepare to be memorized through enthralling live performances scheduled every evening. Allow your senses to take over and get lost in the magic of such a unique experience. 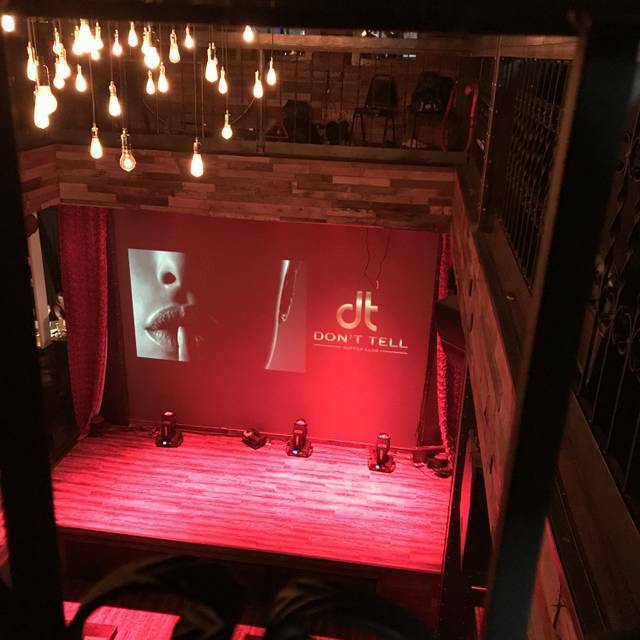 Following our second dinner, watch as Don't Tell's experience continues with a transformation into an amazing night of dancing and fun. *CC authorizations are required for parties of 4 or more. Please note- no charges are made to your card unless changes are made within 72 hrs. of original reservation. If last minute cancellations occur,we do enforce a strict $25/ per person charge for not in attendance. 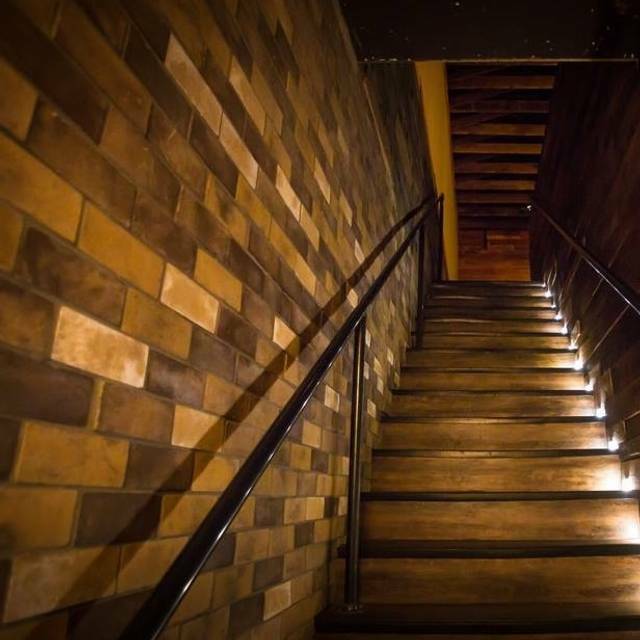 This policy allows us to create the most personal and intimate experience for all. As long as you are spending 12+ dollars on drinks and food you are welcome to stay. If not, they will rush to bring the check and constantly ask you to buy more drinks. We spent a total of $453.00 dollars and the waitress told is “You are welcome to stay for a “bit” indicating we needed to leave despite not seeing any performances. Food was great. The show was lacking, only 1 singer that sang 3 songs and a magician for the 2 hours we were there. Maybe a later seating would have had more entertainment. We will give it another go but if it's the same, that would be the last one. If they could execute properly it would be a great spot. I overall really enjoyed it... you just really have to look past it’s shortcomings. Too many tables, people literally climbing over you from other tables to get to the bathroom. Service was very slow, food is best described as overpriced nice bar food. Some of the performers were awesome. Some were obviously showing off a hobby not an art. In between acts it’s just a DJ blasting music at volume 10. My advice: cut the food, let it be a club, get rid of half the tables. The most unique place in Dallas..
We went to celebrate my daughter's 25th Birthday party. The food was great, the entertainers were on point and the ambiance was interesting in a good way. Our server, on the other hand was not top notch, she seemed to have her hands full. We plan to go back and also tell our friends about this unique jem in Dallas. Drinks were not great and our waiter had great energy but was pretty scatter brained and forgetful. But the food and entertainment were amazing! Trying to charge us for bottle service for $150 the place was empty! We were rushed to eat before 8:15! So ridiculous! We would have stayed longer and drank more if they weren’t trying to charge us to stay! Ridiculous! So sad to bc the food was exceptional! One of the best girls night outs! This place is a total scam. Food was decent. Service was awful! Waitress gave us the wrong entree and argued with is about it, forgot something, and seemed to be high. We only saw one burlesque dancer the whole time - and some weird random magic show. Complete rip-off. If you want to have a really frustrating experience, go here! It's a scam. Loved the environment, the different enteratainment kept our attention, the drinks were so much fun and tasty, the bar tender was The Best! And the service was fast. I love this place! I bring all my friends here who are traveling from out of town or even just in from the suburbs. The whole experience is delicious and truly unique. Invested over $300 for New Years Eve event. Service was horrible. Attended with brother in law and his wife, appetizers, salads, entrees and deserts all came at different times for everyone. Multiple servers, nothing consistent. Entertainment was ok, but not worth the hype or the price tag. Very disappointing experience. Won’t return. Worst value for the money in all Of DFW. New Year’s Eve. We had a party of 6. Didn’t know they had a limited menu ahead of time. No prices on the menu. Service was terribly disjointed and dishes came out with almost comedically poor timing. The servers all seemed like it was their first day. The bill was over $200 per person and included a $5/seat show charge. The show charge made the show (which was actually pretty entertaining!) seem cheap and hokey in light of the exorbitant bill. We had no bottles of wine, just a couple cocktails each. It’s a shame. I really wanted to like Don’t Tell Supper Club. But we won’t be back. I’d save my money for Nick and Sam’s if you’d like a special night out. I thought they were all awesome! One of my favorite places in Dallas. This time was no exception! The food was delicious, the entertainment was perfection, and the location is prime. There was one issue with the bar tender, however the management handled it promptly and graciously accommodated us. Thanks for a terrific experience. Despite mixed reviews online, my husband and I both LOVED our date night here. We thought the food was incredible! The ribs were some of the best we ever had and seemed like a bargain at $22 for that level of quality! 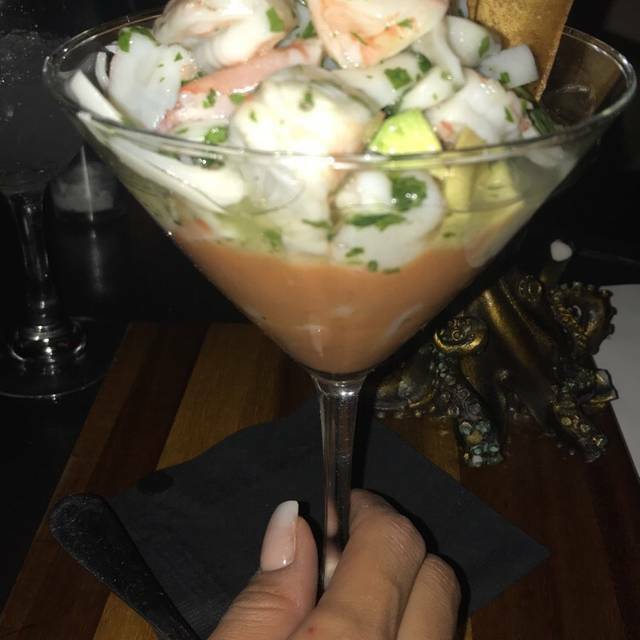 Cocktail prices were what you’d expect from a downtown upscale bar but the creativity of them made it so worth it! The entertainment was somewhat less risqué than anticipated given the way it was advertised but we highly enjoyed every performance! Would definitely recommend this for a special event or just an enjoyable night on the town. Good food and service at the table. The host was a little rude, I think he was overwhelmed but the hostess with him was very nice and accommodating. We had reservations but were told we weren't allowed to stay for our whole reservation because another large party needed our spot. Found that a bit annoying, since they didn't place us anywhere else after. The entertainment was supposed to start at 7 pm but didn't start until 7:45 pm and the acts were only like 5 mins long and were about 30 mins apart. I wish they would be more back to back. It's a bit pricey but good food. The food was amazing! The service was great! But we went there expecting a show like was advertised on the website and there wasn’t one. Just the same entertainers doing 3 minute skits every 20mins or so. We waited there for 3 hours and didn’t get to see what we were expecting so rather disappointed about that. Saturday night, 10/6/2018 was my first night attending this restaurant. I was a bit hesitate as the reviews were not the best, but I know a friend who went and recommended it, so I wanted to try it out for myself. It was my wife’s bday so I wanted everything to go smooth and seamsless as possible. I booked a table in front the stage because I heard the acts were great and wanted to make sure we could have a good view since we were driving from McKinney, TX. It’s not every weekend we’re driving to Dallas. Needless to say my reservation was at 8 and we didn’t get seated until around 8:30pm. We arrived a little early around 7:45, so it seemed a bit long to wait for a table. After a while, the part owner Saghi, I’m sure I misspelled his name, pronuced Su-G-Ee, places a table in front of the stage so we could be seated. The party that was at my table had not left yet. After sitting for about 15-20 min, I had to grab the attention of a waitress and ask her “are you our waiter” which she replied “I am not but would be happy to help you”. Jessica was waiting on tables at the back of the restaurant, but was very gracious and waited on our table. Thank you Jessica! You saved the night and were very helpful the rest of our stay. There needs to be better communication when it comes to the service of the customer, which is what I’ve read before attending the restaurant. Once we finally got a table, there was no one to wait on us. If I’m going to spend over $200 at a restaurant, the least you can get is great service from the staff. 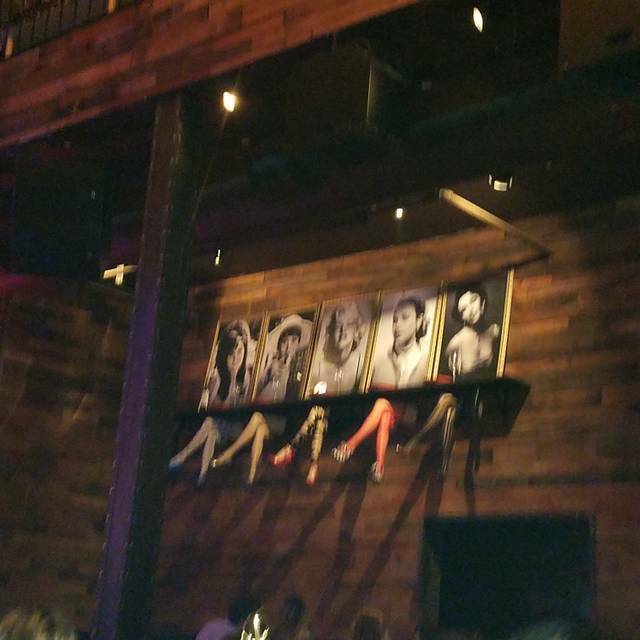 All in all, my wife and I thought the food was great, enjoyed the entertainment and the ambiance. I think I’d give this one more shot, without booking a table to see how they do. But if they clean up the lack of communication, this place would be a hit. This is a really cool place, just don’t expect prompt service. Thanks again Jessica, you turned our night around because it didn’t start off great. Loved the experience, drinks, and entertainment. It was a special occasion and we were spoiled by the restaurant. Def a great time. Awesome music by DJ Flip and a crazy, fun VIBE. Love love love this place. Awesome food, and entertainment was outstanding! We've been here a few times and while we had enjoyed the entertainment the service had always been spotty. However, last night's experience demonstrated how far they have fallen. It will be gone soon. We made our reservations on Friday for a Saturday evening (also a data point that the popularity of it is waning). We arrived to find the place very dead (40% of the tables filled on a Saturday night), the first sign that it's losing favor with Dallas. The menu is very limited and honestly not good. I got the strip steak, it was overcooked and very fatty with fries that looked like they had been microwaved. My wife got the red fish, which tasted very fishy (frozen). The drinks were am even bigger disappointment. After all, its a bar. We got a bottle of wine, it showed up hot (warmer than room temp). The glasses were the cheap type that only made it worse. They literally have no after dinner drinks of any kind (not even coffee). Their recommendation was a shot I did get a Mojito, which was almost undrinkable. The performances have really slipped, the first couple of times we had been here they were frequent and fairly good. Now, they are 45 minutes apart, mediocre (as an example the magician was laughable he was so obvious) the others acts were very short 2-3 min. Clearly they can't afford the same caliber of talent they used to get. Two of the acts actually fell down trying to do their performance. The perfect ending to our experience came while we were trying to figure out what after dinner drinks to have when the cheesy manager came up and asked if we could pay before we even finished dessert. Great way to spend $250 on dinner to have some jackhole not even let you order after dinner cocktails. He did offer to let us "hang out" out at the empty bar. The front manager tried to apologize for the others idiotic behavior, but by that time we just wanted to get out of there and get a decent drink. The food was delicious, the acts were weak. The waitress was not pleasant. They need vegan or vegetarian options. Thier seating system is suspect. They sat us at the bar then sat people who did not have reservations at prime tables. The website is always incorrect and doesn't work well nor does it provide information on how the venue charges. Overall a horrible experience. My wife really wanted to see the show however she did not want to spend our resources with people who seemed not to want us there. Really fun concept. They could be more fourth coming about the policies. Our group wasn't finished paying before they kicked us out of our table cause they needed to turn it. It's very expensive, but the show was worth it, the food was good. The entertainment was top notch as was the management! It started pouring as we were walking there from our hotel so by the time my wife and I arrived we were soaked. The manager quickly ran and got my wife a towel to help her dry off. The food was delicious but my dish took awhile to come out from the kitchen. That same manager took care of it and handled everything very professionally. The entertainment was dazzling and they stopped by our table to talk. It was an amazing experience and we will be returning many more times!! We had a wonderful experience at Don’t Tell supper club. I would highly recommend this to anyone that is looking for a unique dinner experience in the middle of the city. Great location, amazing service, food was delicious, and drinks were fantastic. It felt like we stepped back into another demension with vodvill entertainment. I made a reservation for my wedding anniversary. A month in advance of the day we hoped to attend. I received confirmation and several reminder emails leading up to the day of my reservation. My reservation was for 6:45pm on a Saturday. My husband and I arrived 15 minutes early. Upon entry we notified the hostess we had 6:45 reservations for two. After she found our names she's explained we would have to sit at the bar because they keep the tables reserved for larger parties. I explained that would not work for us as it was our anniversary and we made reservations a month in advance to avoid this sort of issue. The hostess quickly left to get the manager. While waiting another hostess walks up (at the time I thought she was the manager) she asked how she could help so I explained the problem. The hostess replied by saying "as long as you have reservations you have a table" at this point I felt confident it was just a misunderstanding until the actual manager walked up asking "what's the problem folks" as though the problem was ours. After explaining AGAIN that we have had reservations for over a month now, it's our anniversary and we would really appreciate a table. He goes on to say they sit all small groups at the bar to make room for larger groups. As he's explaing this I look into the dining area and well I wish I could say to my surprise yet I wasn't surprised at all.. aeveral tables that seat two. And several couples of two sitting at table AND several open tables that seat two. Luckily for us my husband also made reservations at The Ritz for a later time. So I quietly whispered to my husband "it's fine let's just leave" well the manager heard me and quickly responds OK! And walks away! Meanwhile there were two other couples of 2 that walked in and were seated AT TABLES. I know racism is alive and well I just never expect to experience it first hand. If you are anything other than white find somewhere else that respects and appreciates your service. Outstanding food and drinks. The place tries a little too hard with the red carpet & photo stand, but it is fun. The talent is raw, so don’t expect Vegas quality entertainment, but it is lighthearted and upbeat. Definitely a fun date night!!!! The spicy calamari appetizer was great!! Food was delicious and drinks were amazing! The contortionist was a very unique drink! The redfish entree was tasty and light. Highly recommend. Ask to ne seated on the main floor! Our reservations were very early (6:30) and there was one other couple and us for awhile. Music choice was high energy without feeling like a Miami Beach dance club.. Magic/card tricks were engaging and the aerialist was excellent. We had the lamb with a side of potatoes and it was excellent. We also had a couple of apps, on the small side, but they were good. Specialty drink names were clever and the cucumber/gin with basil was very tasty, but when I ordered another, the basil was missing, so it was not as unique and yummy. When I made the reservation, I was asked if this was a special occasion. I said that it was our anniversary, but there was no acknowledgement of this by anyone at the restaurant. $5 per person charge for entertainment. Total bill for 2-3 apps, 1 entrée and 5 drinks + entertainment fee: $205 including 20% tip. I'd go back with another couple a little later in the evening. We were "kindly" requested to order more or scoot on after a couple of hours. We scooted. It was my birthday and I’ve been here before. I was disappointed it was my bday night and I annotated that but they didn’t have my table ready (as assured by Syed)but I guess it didn’t matter. I would suggest that the dinner table be set up for people who will buy drinks, appetizers, dinner and dessert and those who don’t want that are to sit at the bar. Nonetheless, there was a manager who genuinely cared and was concerned as I expected the matron’ d (but that didn’t happen ). He was polite and kind enough to comp me a bday dessert. So I was pleased I didn’t get the “ experience “ but I had the heartfelt gesture. Thank you for making it right. Awesome experience as usual! Great food, drinks, & entertainment!